The Sacrament of Matrimony (or Christian Marriage,) like all of the sacraments, is a visible expression of God’s ongoing presence in the world and an example of the kind of love God has for each of us. In Christian Marriage, a husband and wife form a covenant of committed, unconditional and caring love and they invite Christ to be a partner with them in that covenant. The unconditional nature of a covenant is different from that of a contract which requires that certain conditions be met by each partner in order for the contract to be valid. The Church teaches that the Sacrament of Matrimony mirrors God’s covenant of love with his people.” God’s love for us is unconditional, eternal, exclusive, and faithful, in good times and bad, in sickness and health. Christian Marriage is considered uniquely life giving. A husband and wife share the privilege of procreating new life. And the surprises and trials of marriage provide countless opportunities to grow in holiness. View/Download the Wedding Guidelines OR call the Church Office at (585) 254-3221 to give your full name and address and the secretary/office assistant will send them to you through regular mail. Once you have read over the guidelines, please call our secretary Michele Kelly at (585) 254-3221, x104. Indicate you have read/received the guidelines and wish to make an appointment with a priest or deacon in preparation for marriage. Meet with the priest/deacon to introduce yourself, start the paperwork, set the date, sign-up for Fully Engaged & Pre-Cana, and obtain materials for planning the actual wedding ceremony. Make your deposit to set the wedding date. Attend Fully Engaged & Pre-Cana Sessions. Peggy Kershner, Pre-Cana Chair, assigns and calls the bride to inform her of their Wedding Coordinator's name & contact information. 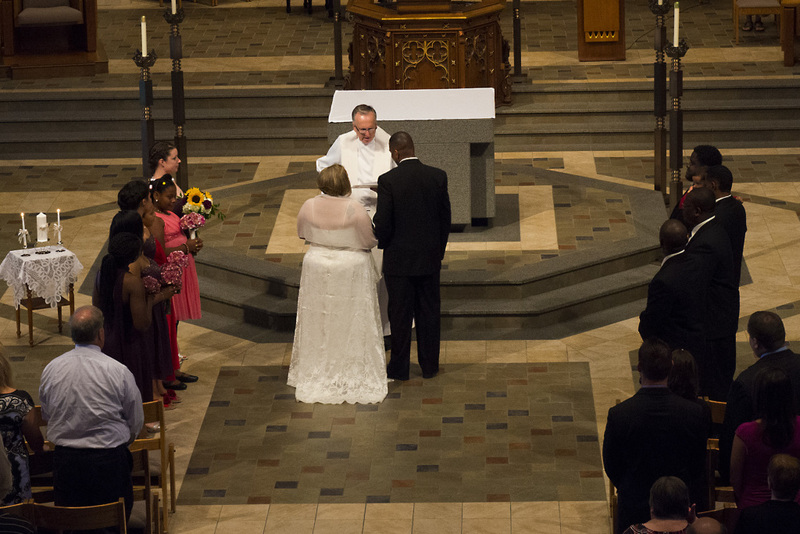 Review and make selections for prayers, readings and music for the wedding ceremony. (From the red or blue folder the priest/deacon gave you at the initial appointment.) Please make sure you as a couple have done this before #8. Call (585) 254-3221, x124 and set-up a time to meet with our Music Director, Ginny Miller. Meet with the priest/deacon again to review Fully Engaged and Pre-Cana sessions. Connect with your Wedding Coordinator. Usually they initiate the contact. If you are having a program, please e-mail it to Ginny Miller a week before the Rehearsal. Rehearsal the day before (or two days before).